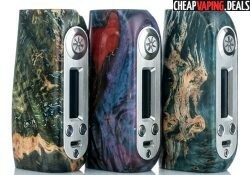 Asmodus is back with the upgraded version of the Minikin! It features a power increase to 180 watts and is built with a touch screen because of its new GX-180-HT chip. The Asmodus Lustro features a full color touch screen display, infrared hands-free operation , a customizable LED stripe, 200 watts of output, firmware upgrades, hyper power savings system, a flash light, taste modes, curve modes and temperature modes including TCR and TFR. 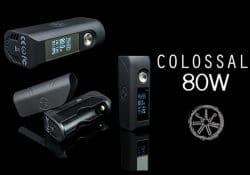 The Asmodus Colossal Box Mod features a compact size, a touch screen display, 80 watts of power, effortless operation and full temperature support. The Ohmsmium Kodoma by Asmodus is athe limited version of the Ohmsmium mod and is built with exotic premium stabilized wood. 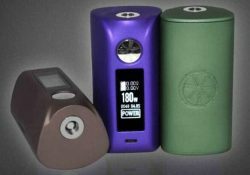 The Helve is a box mod from Asomodus is designed in the United States. It features an ergonomic form factor, 120 watts of output power, temperature control and is powered by dual 18650 cells with hyper power saving technology. 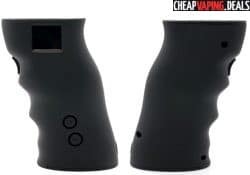 A while back, Asmodus released a small, portable mod: the Minikin. 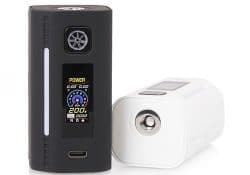 Now, this tiny mod has been upgraded with a power output increase to 150W and additional functionality.